The Computer Crime and Intellectual Property Section (CCIPS) is responsible for implementing the Department's national strategies in combating computer and intellectual property crimes worldwide. CCIPS prevents, investigates, and prosecutes computer crimes by working with other government agencies, the private sector, academic institutions, and foreign counterparts. Section attorneys work to improve the domestic and international infrastructure-legal, technological, and operational-to pursue network criminals most effectively. The Section's enforcement responsibilities against intellectual property crimes are similarly multi-faceted. Intellectual Property (IP) has become one of the principal U.S. economic engines, and the nation is a target of choice for thieves of material protected by copyright, trademark, or trade-secret designation. 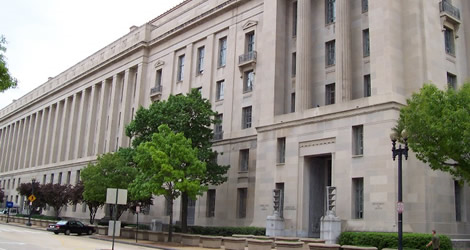 In pursuing all these goals, CCIPS attorneys regularly run complex investigations, resolve unique legal and investigative issues raised by emerging computer and telecommunications technologies; litigate cases; provide litigation support to other prosecutors; train federal, state, and local law enforcement personnel; comment on and propose legislation; and initiate and participate in international efforts to combat computer and intellectual property crime.